If you enjoy hiking, you will be delighted to know that Great Smoky Mountains National Park is open 365 days per year! This means that you can work off that turkey dinner with a pleasant hike on one of the park’s many scenic trails. Check out the official park maps to plan your visit and to find the perfect trail for your adventure! Keep in mind that the weather in late November can often reach freezing so be sure to dress accordingly and drink plenty of water along your journey. Celebrate Thanksgiving and the start of the holiday season with a visit to Dollywood! The famous Pigeon Forge theme park is open on Thanksgiving from 4pm to 9pm so that you can enjoy the park’s magnificent Christmas light displays, thrilling rides and dazzling shows. Dollywood is currently featuring their popular Smoky Mountain Christmas event with four million lights, holiday themed shows, Rudolph and Friends character greetings for children and the Parade of Many Colors. The event will also feature Santa Lane, where families can greet Santa Claus himself as he and the elves get ready for Christmas! When spending Thanksgiving in Pigeon Forge at Heritage Cabin Rentals, you are lucky enough to be in town during the annual Winterfest celebration! Pigeon Forge Winterfest transforms the city into a winter wonderland with incredible Christmas light displays along the Pigeon Forge Parkway. After your Thanksgiving meal, take a drive along the Parkway to marvel at the light displays and stop for some unique family photos. 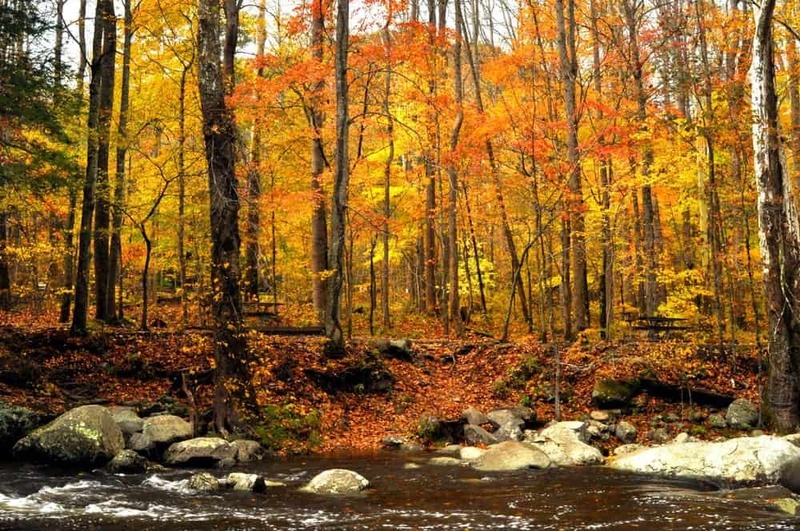 Your Thanksgiving getaway to the Smoky Mountains is sure to be one to remember for a lifetime! Did you know that our cabins feature full kitchens with all of the modern amenities of home? This means that you can cook a full Thanksgiving meal in the comfort of your own cabin from Heritage Cabin Rentals! Our kitchens have everything you need to roast the turkey, prepare the mashed potatoes and bake the pumpkin pie. There is also plenty of room to store all your leftovers so that you can enjoy delicious meals throughout your Thanksgiving vacation in Pigeon Forge. Dine in the comfortable dining room or sit with a plate by the fire as you enjoy the cozy ambiance of our cabins in the Smokies! Check out all of our cabins in the Smoky Mountains today to plan your Thanksgiving in Pigeon Forge! We look forward to seeing you soon at Heritage Cabin Rentals!